When Mom and Dad brought home a load of Cabernet Franc last month, I kept hearing them talk about bottle shock… What in the world?! The only thing I want to be shocking about the wine coming from Brix & Columns is how delicious it is! Apparently this “bottle shock” can manifest in a couple of different ways. 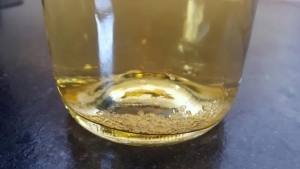 Extreme agitation, like our Cab Franc encountered during the bottling process (barrel to bin to bottling machine to bottle), can cause the wine to taste differently than it should. Other times, bottle shock comes about due to the wine being transported over a long and/or bumpy journey. Although this phenomenon hasn’t been scientifically proven, the idea behind it is that because all of the elements of wine are so integral to each other, by disturbing the settled wine, the flavors are disturbed in turn. 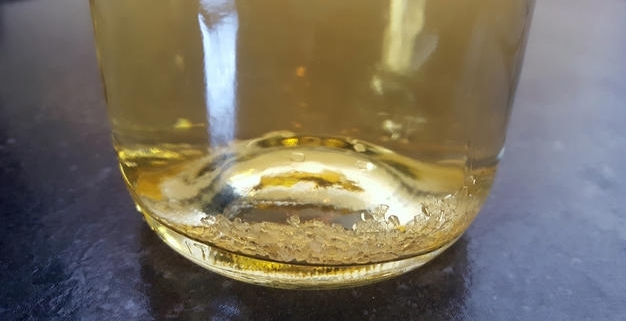 Most noticeable in newly bottled and significantly aged wines (10+ years), the agitated bottles can be quickly calmed down by simply letting them lay still for a few days. With older wines, you may want to store them upright for a day or two before drinking to ensure that all sediment has settled back to the bottom of the bottle. While doing my research about exactly what causes bottle shock, I was interested to find that there was actually a movie called “Bottle Shock” that came out several years ago. The shock in this movie is not to the wine, but to the world when a California Chardonnay beats out a French Chardonnay in a blind taste test. I know I may just be a dog sniffing his way around the wine world, but I think that Virginia wines are well on their way to becoming world renowned. Check out the movie and see what you think – I will be watching it as soon as I can figure out the tv remote. In the meantime, look for our two newest reds that are coming out soon, now that they are over the bottle shock! https://www.brixandcolumns.com/wp-content/uploads/2018/08/20180811_171634.jpg 1966 1966 Stephanie Pence /wp-content/themes/sixpenny/images/logo.svg/ Stephanie Pence2018-08-11 16:13:492018-08-12 14:22:50Shocking News About Wine! If there is a wine that has been the talk of the tasting room lately, it is our Petit Manseng. I hear people talking about how delicious it is and how they have never heard of that varietal before. Fact be told, people are talking about our newest white ALMOST as much as they are talking about me. It’s not the first time I’ve heard of the grape, my mom has been raving about Petit Manseng wines for years. 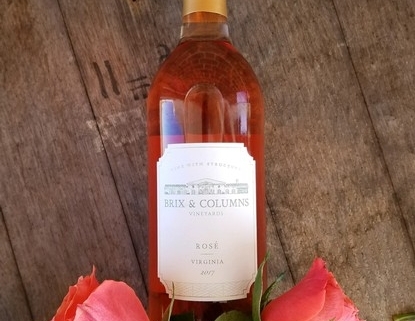 Made into both dry and dessert styles, this wine is finding popularity all over the world, but it is especially gaining notice in the Virginia wine scene. Are we watching the next Viognier in the making? Originating in the Southwestern Region of France, this wine sealed its popularity by being used to anoint King Henry IV. The characteristic sweet and aromatic qualities of this Jurançon grape found a place in the hearts of all who had the pleasure to drink it. After becoming a beloved Jurançon varietal, Basque settlers took it with them to Uruguay (along with one of our favorites: Tannat) to cultivate there. Dubbed by Matthieu Finot (winemaker at King Family Vineyards) as a “wet weather grape”, Petit Manseng has loose clusters of small berries that hold up well to high humidity growing environments. The thick skin and ability to have increased airflow throughout the cluster makes this grape much more resistant to rot than some other varietals. Even though it does have a low yield and needs a long ripening season, many vineyards are choosing to work with the grape because it can be crafted into a wine that is flavorful, ages well, and has enough acidity that sweetness never overwhelms. 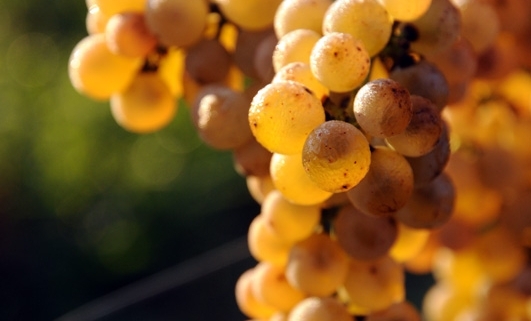 The flavor profile of Petit Manseng is composed of a variety of flavors with tropical fruit, citrus, peach, and a slight nuttiness that is most noticeable when it is young. As the wine ages, the profiles of honey, preserved fruits, and sweet spices become more notable notable. It pairs well with many food dishes from spicy Asian foods to sweet pastries, and it is sure to delight your dinner guests when you present it to the table. I’m starting to notice a trend: grapes with Petit in front of them seem to pack a lot of flavor and are looked upon highly by wine drinkers as full of flavor and overflowing with potential for greatness. It must be the exact opposite of in the dog world where dogs with Great in front of their name are packed full of personality and handsomeness. 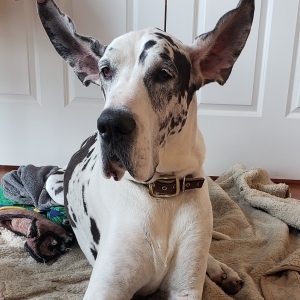 Once you have realized that I am not a Holstein calf or a miniature horse, you don’t have to look very hard to see that I am a big, loving dog with a large, welcoming heart. Even with all of the loving and giving that I dole out at the vineyard (like greeting you at the car and walking you to the door, letting you pet my soft, soft ears, and sniffing all of your coolers as a measure of “quality control”) there is still room for a little more loving and giving. 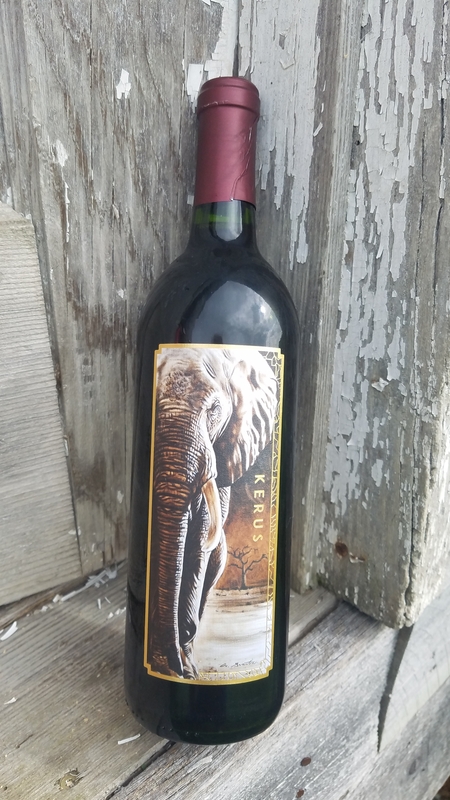 Mom and Dad recently paired up with Kerus Global to create a wine that not only gives you a delicious beverage to savor, but it also gives money from each bottle sale to to a global education foundation that is working hard to make this world a better place. Kerus Global Education was founded by two local Valley residents, Dr. Cerullo and Dr. Ball. Kerus, which means doing something with all of your heart, is a wonderful organization that is providing support and AIDS education to children who have been orphaned by the AIDS epidemic in South Africa. By using the It Takes Courage! curriculum, Kerus works to promote abstinence and faithfulness in relationships in order to lessen transmission rates. They also opened the Kerus Go Amogela Orphan Care Center to provide children who have been orphaned by AIDS academic and emotional support and guidance on making good life choices. Kerus is making such an impact in the areas that it serves that the local governments have even started working with them to develop government run programs that employ the same educational strategies. The wine, a Merlot and Chambourcin blend, is a table red and is sure to please everyone’s palate. Notes of jammy dark fruit, vanilla, coffee, and leather on the nose are only a hint of the richness to come. Once in your mouth, the complex flavors of tart cherry and ripe blackberry envelop the taste buds in a way that makes evident that this medium-bodied wine embodies all of the best qualities Merlot and Chambourcin have to offer. The artwork on the bottle is particularly striking. Painted by South African artist Adrian Swartz, it features a stunning depiction of an African Elephant. The original painting is now displayed in our tasting room. Make plans to come out and try our newest red soon. Having the double benefit of being a delicious wine and doing a good deed for humankind through your purchase, buying this wine will also serve as your perfect cover-up for the real reason that most people come to Brix & Columns: to see your favorite wine blogger, ME! Oh boy, oh boy, oh boy! I got so excited to tell you about our Rosé release that I completely forgot to do the final follow-up to my barrel series! The final type of barrel that I wanted to tell you about was the stainless steel barrel. Now I know that when you think of aging wine, oak barrels are automatically what you picture; however, they are not the only barrels that winemakers have at their disposal. Stainless steel barrels have only been used in the wine world for a few decades, but don’t let their relative youth fool you. They do have a plethora of benefits that come with their use, and only two negatives Let’s get the bad news out of the way first. 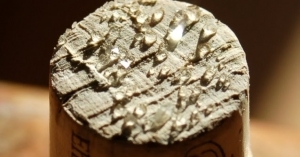 One thing a stainless steel barrel cannot do is impact the texture of the wine by making it creamier. The other major drawback of using stainless steel barrels is that it cannot layer and increase the complexity of the wine that it is aging. A wine aged in an oak barrel has layers of complexity that a stainless steel barrel will never be able to duplicate. The benefits of aging and stainless steel are so numerous I’m not quite sure where to start. The first is a no-brainer, they are more environmentally friendly because you don’t have to cut down trees to use them. Hand in hand with that benefit is the fact that they are a more economical choice for the winemaker. A stainless steel barrel can be used for upwards of 10 years at a time with no leaks, and then used multiple more times. 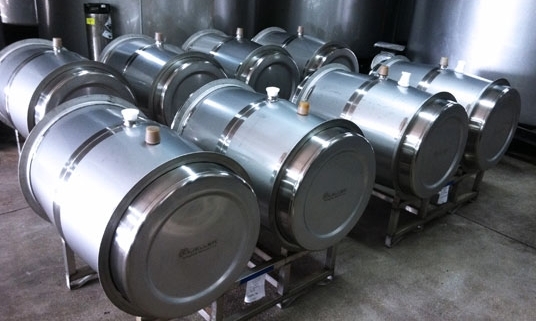 When a winemaker is finished using a stainless steel barrel, the cleansing process is much quicker and easier than the one used on oak barrels. There is greater control over the temperature of the liquid and the barrel, and there is no oxidation, which improves the quality of the wine. The fact that the flavor does not transfer from the barrel to the wine is viewed in a very favorable light by some people. It results in a wine that is light, fresh, and crisp. Wines aged in stainless steel barrels remain fruit-forward even as they age, and it really allows anyone enjoying the wine to easily taste the talent of the winemaker. If desired, oak chips can be added to the aging process to impart some of the flavor and texture that would be gained by aging in an oak barrel. In a couple of weeks I’m going to be back to tell you about everything Mom, my brother Taylor, and I have been doing in the vineyards. We have been working very hard during this important season of the grape growing world and I can’t wait to tell you more! 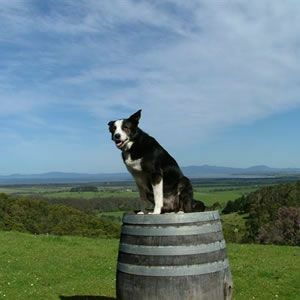 I might be a silly dog sometimes, but even I am not so silly to think that wine barrels are just made for us vineyard dogs to sit on and look pretty. (Pictured above is Kelly from Windy Ridge Winery in Victoria, Australia) I’ve heard plenty of folks asking about the barrel terminology used in the tasting room. It is likely that these are questions that have been asked for years upon years since oak barrels have been the primary storage vessel for wine since the Roman empire was in the conquest phase. Romans didn’t always use oak barrels for storing and transporting their wine. The first preferred container was the clay amphora and this was used for many years since it was easy to carry, could be decorated, and most importantly sealed out the air that can ruin wines. Easy transportation was especially important for the Roman troops as they helped the empire spread. Wine was an ideal beverage to take because it was often safer than water, it provided calories, and it gave them a buzz as they headed into battle. As the empire spread, the clay pots became too heavy to lug on their increasingly long journeys. This was the perfect time for the Romans to encounter the Gaul. The Gaul were using technology learned from the Celtic region to create oak barrels for storing beer. Roman soldiers immediately saw the benefits for storing wine in oak barrels: the wood was soft and easy to bend, oak was plentiful in Europe, and the barrels were waterproof due to the tight grain of the wood. Folks in charge of carrying the wine also quickly discovered a huge bonus: oak barrels could be turned on their sides and rolled. This was a match made in heaven! After actually storing wine in the barrels, the Romans realized that not only was the barrel useful and mobile, but it imparted a delicious influence on the wine both in texture and flavor. Since then, the art of using barrels for wine aging has morphed into a science of using a variety of oaks, toasted or not, new or neutral to create the desired effect. There is so much to tell you about the difference between American, French, and Hungarian oaks that I can’t fit it into one blog. Stay tuned for more information about oak barrels coming in the next blog, but for now I will answer the question nearly EVERYONE asks: “What country does neutral oak come from?” Oaks of American, French, or Hungarian origin can all be considered neutral. A barrel is considered neutral after it has been used for two or more vintages. The rule of thumb I have heard is the first aging it is called new, the second has no specific title (i.e. simply French oak or American oak), and anything after that is considered neutral.